Barrier Group Ltd has acquired a 49% stake in a North East-based rubber product manufacturing company. The Wallsend-based company has bought the share in Tyneside’s Aquaseal Rubber Ltd with the aim of helping to expand the business’ presence in to wider markets. 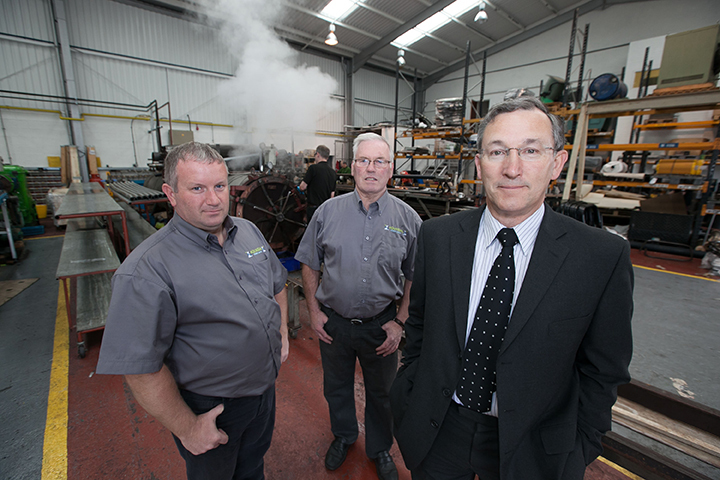 Aquaseal Rubber, which is based in Longbenton, is a family business run by Managing Director Jason Armstrong and his father, Eddie Armstrong. The company primarily manufactures rubber coatings, tubes for road cleaning equipment, and fenders for Remotely Operated Vehicles. The acquisition of a stake in Aquaseal Rubber comes as part of a broader move by Barrier to expand the business and move into new markets. Existing customers of Barrier will also benefit from the additional range of services provided by the acquisition. Barrier was advised by Mark Adams, corporate finance partner of Hay & Kilner Solicitors, making it the third Barrier project to be completed by the leading Newcastle-based law firm. Barrier Group was formed in 1975 to carry out painting of structures to be installed as part of the growing North Sea oil industry. The company has gone on to complete more than 200 major contracts, totalling millions of square metres of surface protection and has worked for most of the world’s major oil companies. More recently the company has expanded its operations beyond the oil sector, and prior to the Aquaseal Rubber acquisition, began providing passive fire protection, metal spraying, powder coating and sub-sea insulation across the aerospace, marine and offshore renewables energy sectors. Robert Bowles, Chairman of Barrier Group, said: “We are delighted to have acquired the stake in Aquaseal Rubber. It is a company with a strong history and an excellent reputation for quality and service. Specialist Coatings applicator in the Oil and Gas, Petrochemical, and Marine markets. Coatings include Epoxies, Polyurethanes and Thermal Sprayed Aluminium.